Lil Wayne Feuds With Cash Money Record Label, But What Does That Mean For Drake & Nicki Minaj? 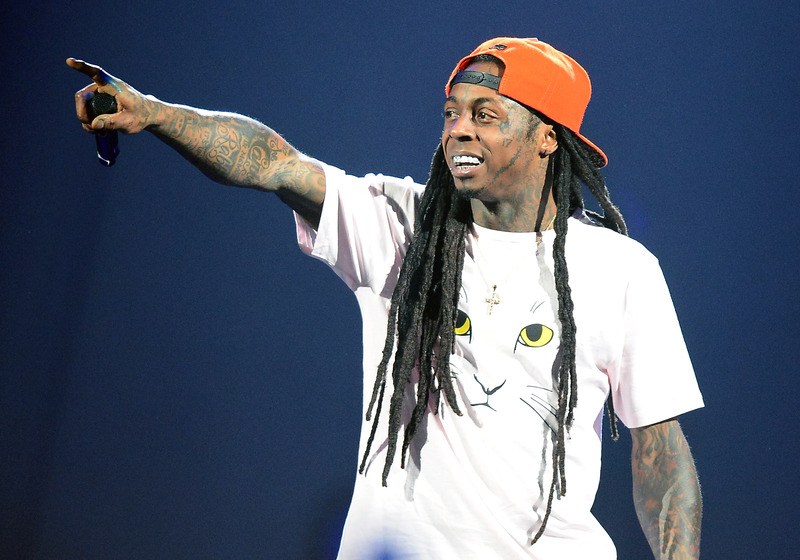 Unfortunately, there's some bad news for anyone who's been counting down the days to Dec. 9, the scheduled release date for Lil Wayne's upcoming album Tha Carter V. Previously, Lil Wayne claimed his 11th album would be his last and, back in April, the "Start a Fire" rapper tweeted about retiring from rap altogether. On Thursday, the 32-year-old posted a series of tweets denouncing his label Cash Money and declaring that Tha Carter V will not be released. This is super shocking coming from someone who's spent his entire career on the label and is arguably Cash Money's most prominent recording artist. Wayne's tweet read, "To all my fans, I want u to know that my album won't and hasn't been released bekuz Baby & Cash Money Rec. refuse to release it." He followed up with an apology to his fans, writing, "This is not my fault. I am truly and deeply sorry to all my fans but most of all to myself and my family for putting us in this situation." Some followers were understandably bewildered and others are convinced Weezy's account was hacked, but the tweets still remain there — along with Wayne's desire to disassociate himself with Cash Money. These revealing tweets come a little more than a month after rapper Tyga, who's signed to Wayne's imprint Young Money Entertainment, dissed Cash Money, Drake and Nicki Minaj on Twitter, and then announced plans to go independent due to ongoing discord at the label. If Wayne's seemingly tight alliance with Cash Money can be broken, then I have to wonder whether Drake and Minaj will follow suit. is due out Dec. 15. Neither Drake nor Minaj have addressed Wayne's statements yet, but, for their sake, let's hope that their upcoming albums don't meet the same fate as Tha Carter V.